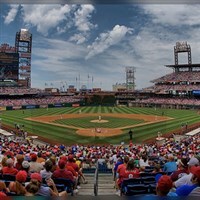 Arrive at Citizen's Bank Park when the gates open - an hour and a half prior to game time. Bus will depart Citizen's Bank park immediately following the game from the same location that you were dropped off. Please check with your tour director for more information regarding this location before disembarking for the game. Fans not returning to the bus will have to find transportation back to pick up locations at their own expense. *All ticket sales are final - no refunds, credits or transfers.